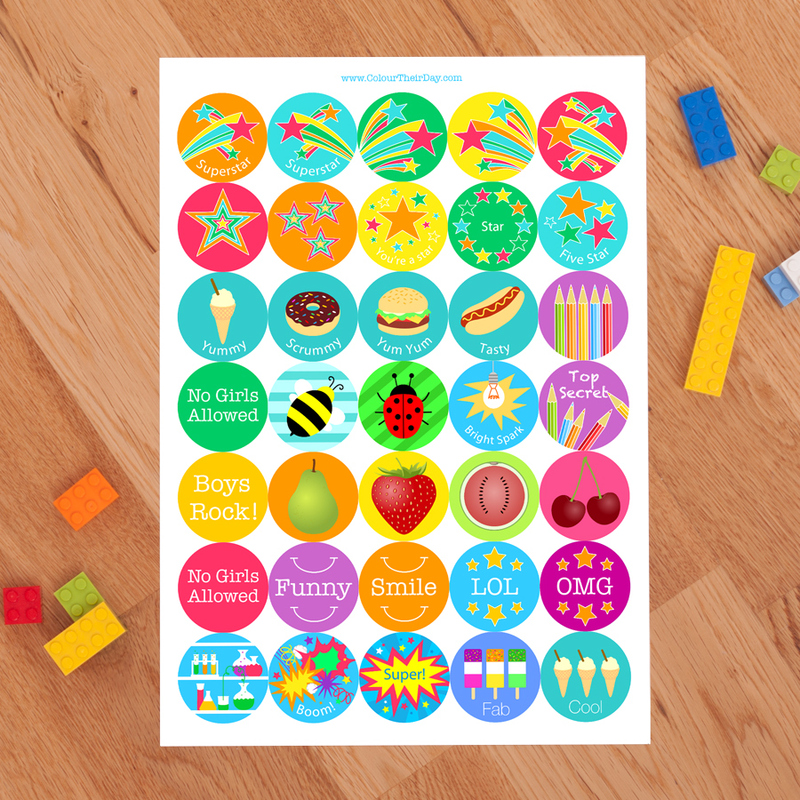 Any boy will love these boy’s cool sticker sheets and they will give him hours of fun, deciding what to stick them on and what fun projects to use them for. They make a funky, fun and colourful gift; for Christmas, a birthday or are even great for party bags. Perfect for long trips, rainy days or anytime when boredom kicks in! There are two sheets of stickers in each pack and each sheet has 35 stickers on it. So in total there are 70 stickers!! Each individual sticker measures 37mm. There are lots of different designs on the stickers; including cheerful boy characters, colourful fruit, yummy food and fun phrases. Please note items other than the sticker sheets in the photo are not included. 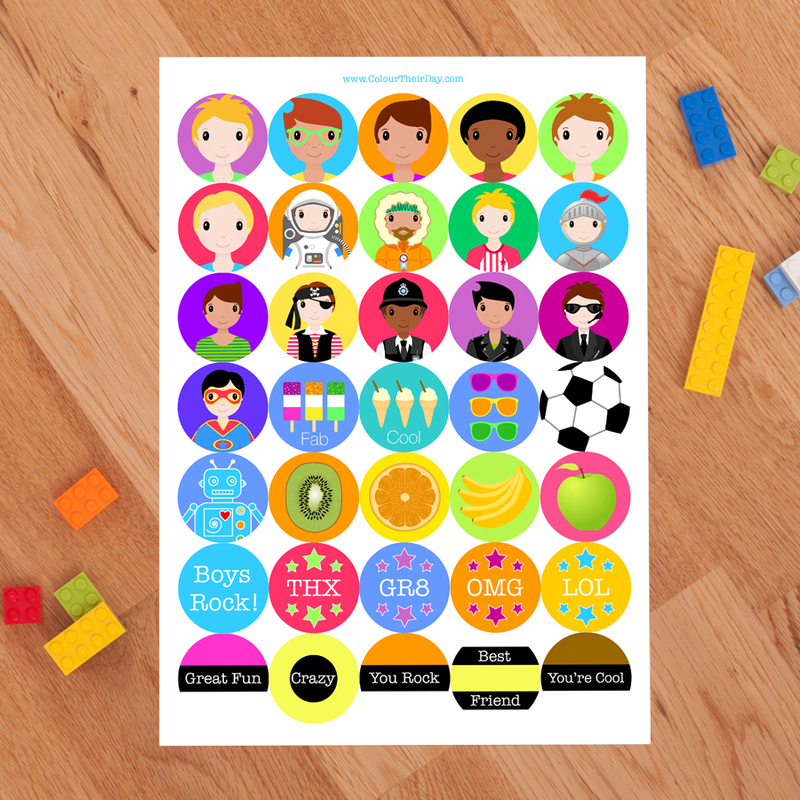 Be the first to review “Boys Cool Sticker Sheets” Click here to cancel reply.